Looking for your favorite cooking community or a famous personality you wish to follow, Facebook saves it all. Facebook the most famous social networking app, saves all the search history of friends or a popular newsfeed etc. At first we love to search for content that interests us and the consistent speed of FB amazes us, however there are some cons that we have to keep in mind. Search history tends to clog up with the passage of time. Search results that have already been used doesn’t need to the saved for later. Like you have already become friends with someone whom you searched for a few days back, doesn’t require the results to be saved as it might never be used again. 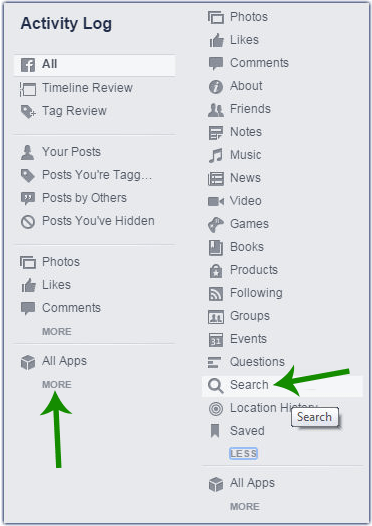 With Facebook, you can easily clean up the search history which is completely unnecessary and tidy up the list. Here’s how you can do it. Launch Facebook and tap on the Setting menu (three horizontal lines) on the top right corner. 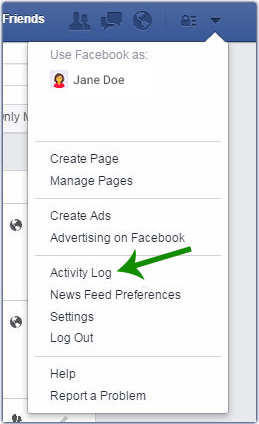 Scroll down to locate the Activity Log from the menu and click on it. Here you can view all your Facebook activities that happened recently. Under Photos, Likes, and Comments in the left side menu bar, tap More. Now choose Search. Your entire search history will be displayed provided you have not deleted them. From here you can delete individual search results by clicking on the block icon and then tapping on Remove. In case you want to delete the search history once and for all, just tap on the Clear Searches link located on the top. That is all you need to do!